Rebecca Luker, Liz Callaway, Kevin Gray, Marla Schaffel, and Debbie Gravitte at the 13th Annual Oscar Hammerstein Award Ceremony honoring Cameron Mackintosh. 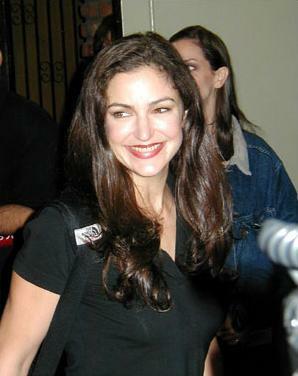 Marla and many other talented entertainers performed at the event, which was organized by the York Theatre Company and held at the French Institute on the Upper East Side on June 3, 2002. 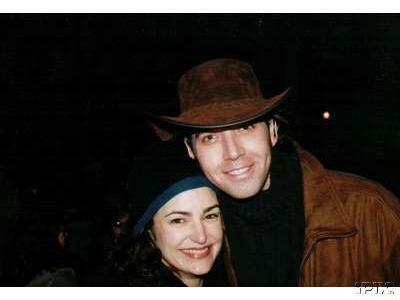 Marla Schaffel and James Barbour outside the Brooks Atkinson Theatre during the Broadway run of Jane Eyre.